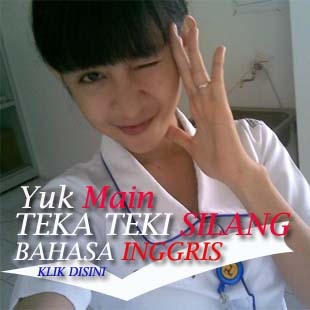 Hai, pengunjung Sekolahoke.com dimanapun kamu berada. Kali ini kami menampilkan soal dan pembahasan Soal Ujian Nasional SMP untuk bentuk teks Recount. Teks Recount ini berhubungan dengan tema teknologi yaitu penemu telpon, Alexander Graham Bell. Jika menemui kata-kata baru, kamu bisa menggunakan Google Translate [klik disini] sebagai bantuan. The telephone was invented by a Scottish teacher of the deaf named Alexander Graham Bell. His great invention was really amazing. It is a very great use for the mankind in the world. Alexander Graham Bell was born in Edinburgh, Scotland, in the nineteenth century. In 1871, he came to the United States. Several members of his family did a great deal to encourage him in the field of science. He began his experiments by trying to invent the harmonic telegraph. Then, Watson rushed into the room and shouted, “Mr. Bell, I heard every word you said – distinctly!” The telephoned had worked. The damage to Bell’s clothes was forgotten. The receiver and transmitter of Bell’ first telephone could be used interchangeably. Afterwards, he exhibited his instrument at the Centennial Exposition at Philadelphia in June, 1876. The public at first showed little interest, but scientists greeted it with enthusiasm. The first money ever paid for the lease of a commercial telephone was paid in May, 1877. By August of that year about 800 telephones were in use. The first telephone line was installed between Boston and Somerville, Massachusetts in April 1877. The first commercial telephone exchange was opened by George W. Coy on 28th January 1878, in New Haven, Connecticut. Bell’s life was dedicated to a science. His very great invention is very useful for the world communication i.e. telephone. 1. When did Bell invent telephone? 2. Which of the following statement is NOT TRUE according to the text? a. Telephone is very useful for people’s communication around the world. b. Bell’s invention was firstly displayed at the Centennial Expositon. c. Since the beginning, the public were interested with Bell’s invention. d. The first commercial telephone exchange was opened in January 1878. Alexander Graham Bell menemukan Telepon setelah 5 tahun tinggal di US. 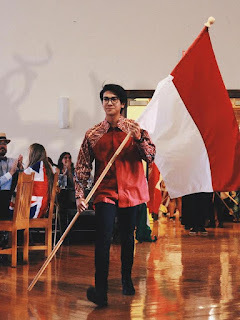 Lihat paragraf 2 yang menyatakan pada tahun 1871 ia datang ke US. Di paragraf 3 disebutkan ia berhasil menemukan telepon pada tahun 1876. Jadi jawaban yang benar adalah D.
Jawaban yang tidak benar adalah C. Masyarakat tertarik dengan penemuan Bell sejak semula.